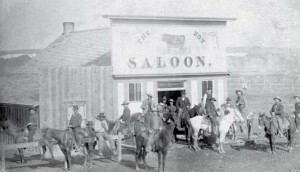 The original building on this site was the Cow Boy Saloon. The building was then used as a drug store operated by Sheridan’s first doctors Wilbur F. Green and B.F. Kuney. Edelman’s drug store later occupied the frame structure and the final occupant was Kelly Tire Store. It was torn down to make way for the Whitney Trust Building. 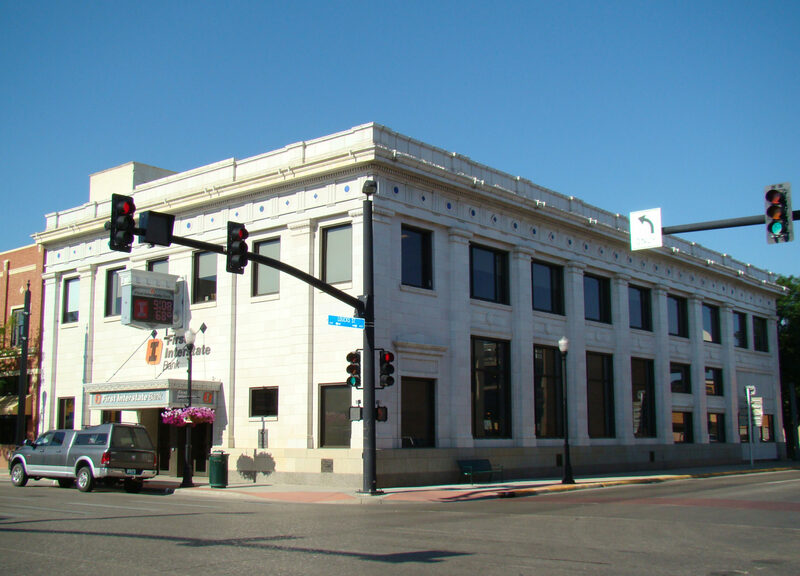 Built in 1925, the Whitney Trust Building was purchased by the Bank of Commerce in 1945 and “face lifted” in 1950. B.F. Perkins was the first president of the bank.